At Pennsic War 2013, Saunooke helped me to fix my armour when it was being a pain in exchange for me doing something for him. 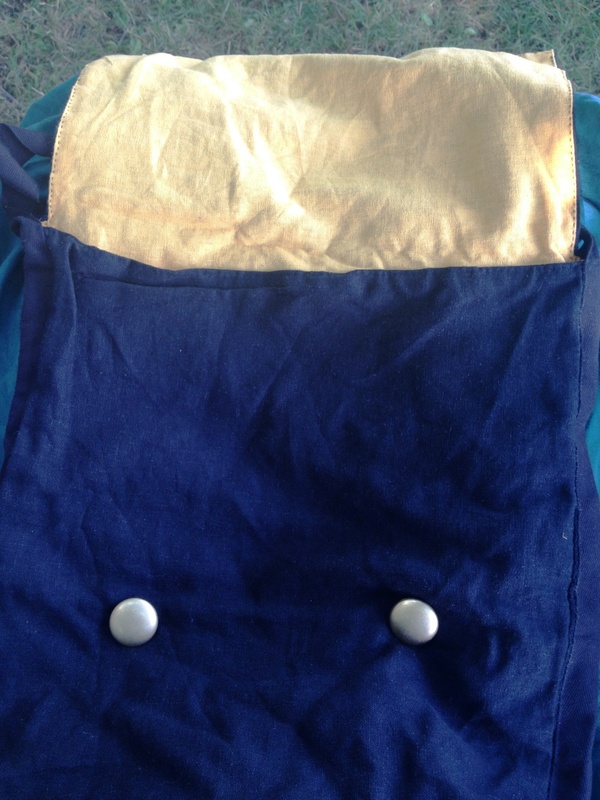 So, whilst at the event, I purchased fabric, buttons, bias binding and thread to sew a bag for him. It was completely handsewn. 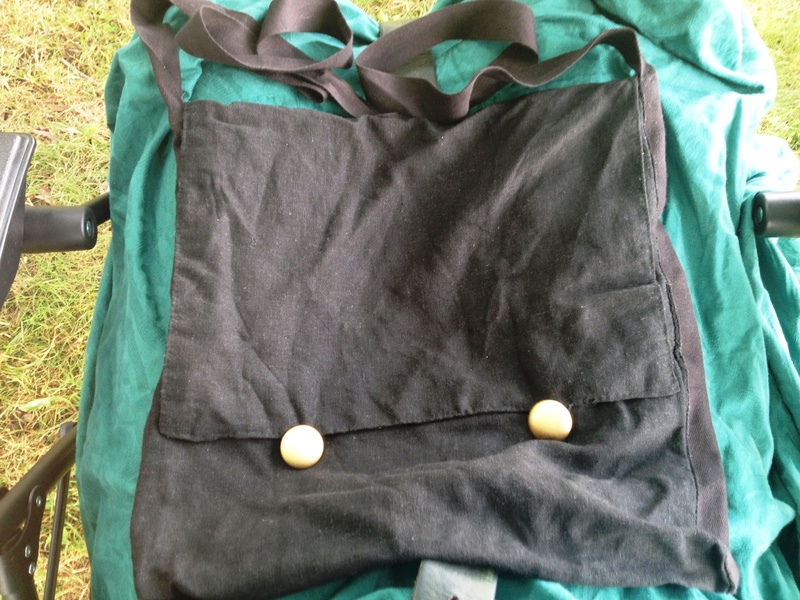 The outside of Saunooke’s bag is black with gold-coloured buttons. The inside of Saunooke’s bag is yellow. 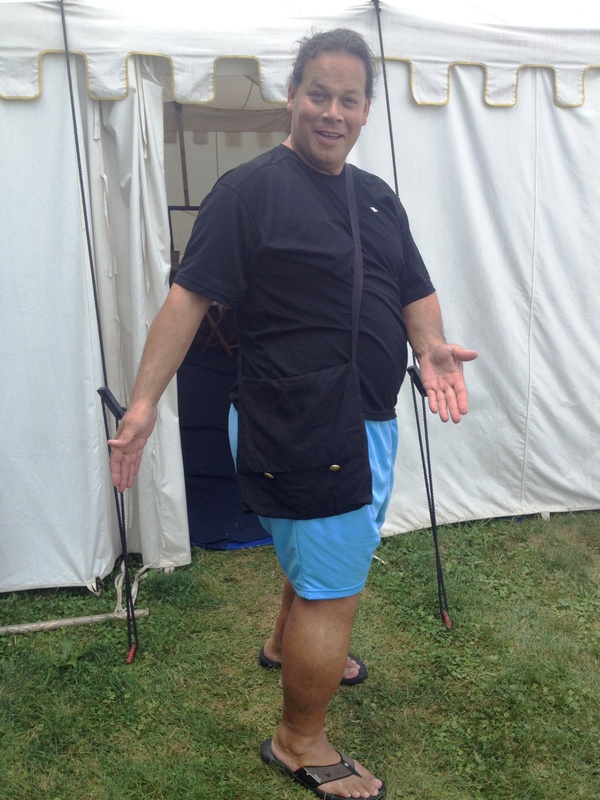 Saunooke, modelling his new bag.